Sage support has sent an update to all consultants advising them to ensure that “Retain Perpetual Payroll History” is activated within the Sage 100 ERP Payroll module. This option will be used in 2015 in order to meet the 2015 Affordable Care Act. Without enabling perpetual history users may not have the option for ACA reporting from Sage 100 ERP payroll. 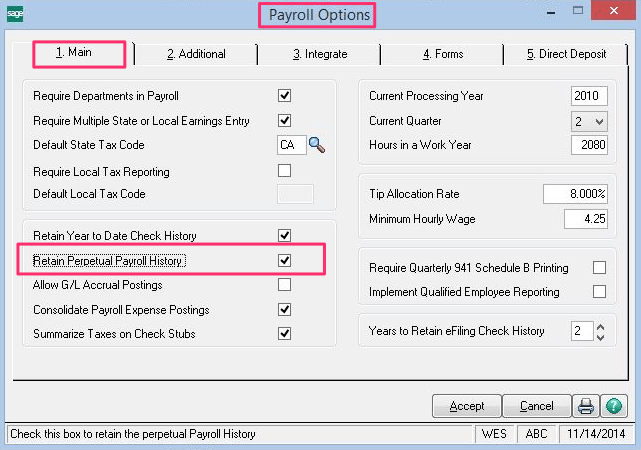 To enable perpetual history in Sage 100 ERP navigate to the Payroll – Setup – Payroll Options. 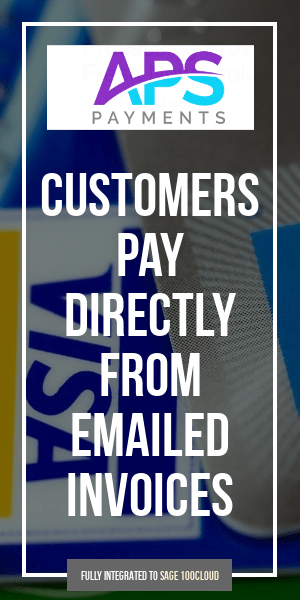 On the main tab ensure that “Retain Perpetual Payroll History” is checked.